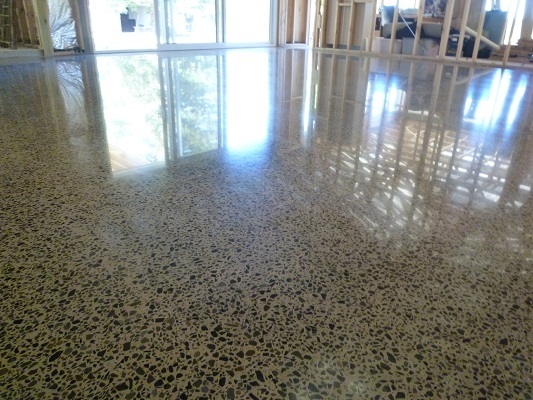 What better way to treat your large living space than with polished concrete Pakenham Upper? 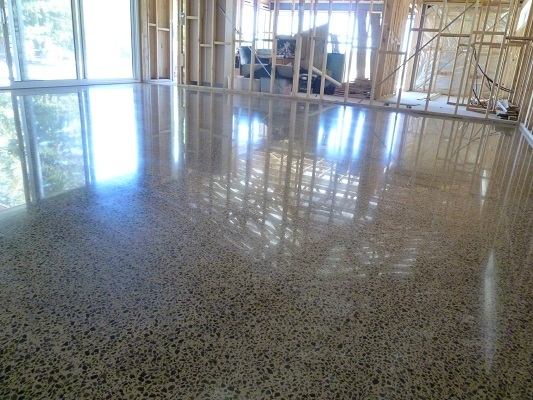 This home was only partially constructed when we gave its floors the polished concrete Pakenham Upper treatment. Finishing the floors before the walls were built not only saved time, but allowed more space to get the job done. The new home-owners opted for full exposure, which brings out the most detailed and intricate aggregate possible. Large and small stones pop in perfect contrast, in all shades and hues – blacks, greys, browns and blues on a light base. With a high gloss sealant, the natural light reflecting through large windows makes the most of unique exposure, giving a beautiful overall effect. The sophisticated look of full exposure works brilliantly in large rooms and expansive open living zones. It can add instant character and cosiness to a potentially large, cold space. 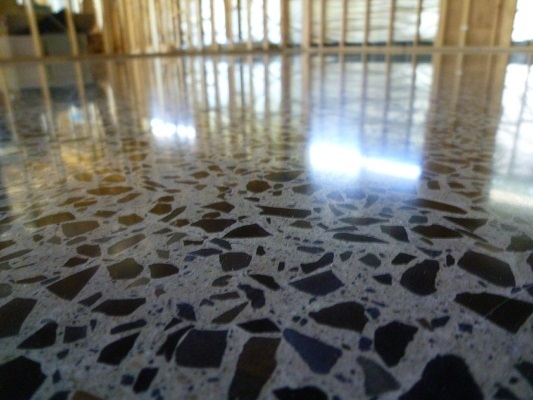 Polished concrete Pakenham Upper is just one illustration of the full exposure high gloss finish at play! We’ve got some other great examples in Coburg, Wallan, Thomastown, Mooroolbark, and Cairnlea. Of course, if full exposure isn’t your thing, there are plenty of different polished concrete flooring finishes to choose from! Pakenham Upper is a satellite suburb of Melbourne’s outer southeast, situated 56km from the CBD and on the edge of the West Gippsland region. It has a demographic dominated by young families, which has led to a large growth in infrastructure and housing estates. As a result there is an increase in amenities such as local shopping centres, sporting facilities, public transport and schools, all catering to the many new families that move to the area every week! Large family homes mean large living spaces. And the more practical your flooring choices, the more time you get to spend with your loved ones. 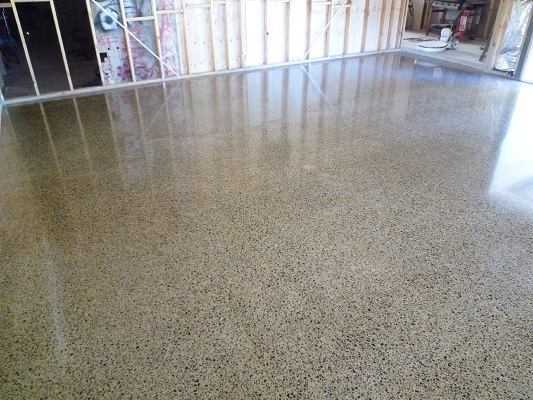 It’s hard to beat polished concrete floors when it comes to saving time and energy. It is also highly durable and allergy-friendly. Ideal for families of all ages and sizes! 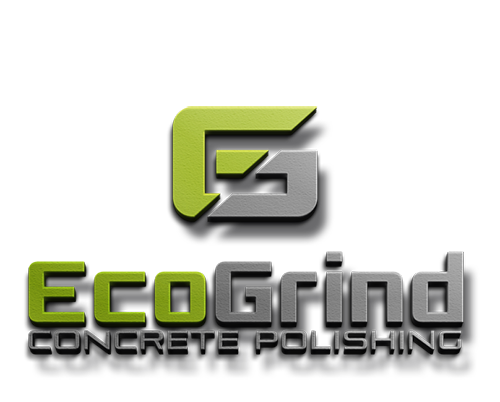 Eco Grind are the polished concrete Pakenham Upper experts. Contact us today for an obligation free quote – we’re ready to make your floors pop with colour and contrast too!